but above are a few links to celebrate the spooky day. roots on the Archeaology Magazine website. The footage of the Cairo Museum's basement is terrific. The main story of the video is Hawass's early experience of archaeology from a site called Kom Abu Billu and how he found a particular statuette and was converted to hating archaeology to loving it. It is worth seeing for the images of the basement but it makes one's head spin to imagine how much else is down there nailed into crates and forgotten for the last few decades! Hawass says that the one area of the basement that was cleaned up and given new lighting for display purposes is to be used as a model for the rest of the basement area. The fifth issue of the Cairo Museum Newsletter was sent out yesterday by email in PDF format. I have saved a copy for anyone who hasn't yet subscribed at the following page. I always get a slightly perverse kick out of Egyptian museums anyway. That is to say I know a very few of the barest bones of Egyptian history and culture. I can more or less tell my Middle Kingdom from my Old, I know a few of the great names and I good give a very rough and slightly inaccurate explanation of what "Egyptians" (which Egyptians you rightly ask) thought about what happened to the body after death. But more than that is all a bit of a mystery. All of which puts me in the same position as the many of visitors to classical collections -- who know something about the difference between the Republic and Empire, have heard of Nero and can describe a gladiatorial show. . . So it turns out to be rather museologicallay instructive. But there was a lot more to the Museo Egizio in Torino. It is the biggest and best collection of Egyptian Antiquities outside Egypt (and I hope its obvious successKha makes Egyptians proud to see it flourishing in North Italy, rather than wanting the stuff back) -- and some of it, as you can see in the picture at the top, has a stunning layout, with spot lights and mirrors (this gallery was designed by Dante Ferretti). But for me the highlights were on a more modest scale. There's not much chance that Egypt would have received that reassuring phone call from President Sarkozy had the Louvre's access to excavations at Saqqara not been threatened. These tough tactics have worked in this case. But have they set a precedent for future discussions on other controversial artefacts housed in western European museums? Are institutions such as the British Museum going to consider returning the Rosetta Stone or the Elgin Marbles unless they stand to lose out themselves? The Bust of Nefertiti is on display in Berlin and has been more or less ever since it was discovered in Egypt in 1913. In August this year, Dr Hawass began to stoke the fire around the discussion of this artefact's repatriation, by saying that he would reveal some incontrovertible arguments about the legal ownership of the bust. This information was to be written in a letter to the Neues Museum - opened this week - which now houses the bust. So the argument is now heating up nicely – but what are the chances that the German museum's curators will agree to Hawass's demand? There are strong arguments on either side but here are some of the most often heard reasons why the German authorities should not give Nefertiti back. In response to the above article, which offers arguments in favour of the bust staying in Berlin, Malcom Jack looks at the practical and ethical arguments in favour of returning the Nefertiti bust to Egypt. He ends with a suggestion that compromise may be the way to go. As in the Economist article from earlier in the year, he suggests that loans may be a way of handling the problem. This is an article from earlier in the year on Heritage Key, but it is relevant to current discussions on the subject so I thought I'd throw it in for good measure. A seal has been found in Tell el Dab'a in Egypt's eastern Delta. It dates to the period of the Hyksos occupation in the second millennium BC. Irene Forstner-Müller, the head of the Austrian Archaeological Institute’s (ÖAI) branch office in Cairo, said that together with a recently discovered cuneiform tablet the seal points to a Hyksos connection with Babylon. Dr. Hawass finds new evidence about the lives of the workmen who built the tombs. "One very interesting object we found is a piece of limestone that shows the plan of a tomb, sketched by a workman over 3000 years ago. Another piece bears an inscription containing the title weret hemet netjer, which means the “great god’s wife.” The title is of an unknown queen, Tiy. We hope to find more evidence of this queen through our work here," Dr. Hawass said. Tony talks us through mapping the site of Kom el-Hisn in Egypt's Delta for publication. Here's an extract but go to the above post for the illustrations and photographs. Thanks to Tass for sending me the link. This page a video from the Gilf Kebir showing (briefly) the Cave of Swimmers and (in much more detail) the Mestekawi Foggini cave, both of them located on the western side of the highland plateau to the south-west of Egypt. The video was recorded in 2007, but I hadn't seen it before and I would guess that others have missed it too. The images are quite simply lovely - not just of the paintings but of the gorgeous desert scenery. Another older article, this time from September this year. This is an entertaining attempt to create a virtual conversation between three different people with different viewpoints about what lies beneath the pyramids of Giza. The entrance to the "cave complex" was tracked down by explorer Andrew Collins after reading the forgotten memoirs of a 19th century diplomat and explorer. That story was originally reported by Lorenzi in August. Dr. Zahi Hawass, Secretary General of Egypt's Supreme Council of Antiquities, has just entered the "Giza cave" debate. In a blog posting on his website, complete with pictures, he debunks Collins' claim that a massive cave system lies hidden beneath the Pyramids of Giza and clearly states that that "there is no underground cave complex at this site." Dr. Hawass' firm statement prompted the immediate reaction of British explorer Andrew Collins and Egyptological researcher Nigel Skinner-Simpson, who claim to have rediscovered the entrance to a cave system explored by Henry Salt and Giovanni Caviglia in 1817. Using the official statements, I attempted to create a sort of three voice, round table debate, so that everybody can try to draw conclusions on their own considering the various points of controversy. There's a video of the cave system on the Discovery News site from 4th September 2009. There have been whispers in the archaeological community following the discovery of the Aper-al tomb in the Saqqara region in the area known as Abwab al-Qotat [Doors of the Cats] by French archaeologist Alain Zivie. Abwab al-Qotat was given its name following the discovery of thousands of mummified cats interred in the tomb. It is well known that ancient Egyptians worshipped the goddess Bastet, which had the head of a cat. The center for the worship of Bastet was located in Tell Basta, which is in the [Egyptian] city of Zagazig, and was formerly known as Bubastis, which was derived from the word ‘Bastet’. Zivie discovered the tomb by travelling deep underground until he reached the burial chamber which was carved into the rock more than 30 meters underground. Zivie was forced to seek the assistance of French engineers working on the Cairo metro project in order to restore the tomb and strengthen its walls to allow him to safely reach the burial chamber. Zivie therefore discovered the first almost untouched Modern Kingdom tomb in Saqqara. The discovery of this tomb which took place almost 20 years ago remains an important archaeological event. The reason for this is that the person buried in the tomb was known as "Aper-al" and this is an Egyptianized form of a Hebrew name. The focus on archaeological process over product, and artifact over art, distinguishes “The Secrets of Tomb 10a” from many Egyptian exhibitions, where typically a hodgepodge of statues and jewelry leave the viewer awestruck, but distanced from the culture itself. Nothing from Tomb 10a is monumental; no one artwork stands out as particularly impressive. Tomb robbers, a panel informs early on, got to the grave before the archaeologists did, seizing everything perceived to have value: jewelry, ornaments, and large statues. But an inspection of what remains brings the viewer closer to the past and those who unearthed it. There are further details of the exhibition in a dedicated section on the Museum of Fine Art's website, plus a two-page family guide to the exhibtion in PDF format. Salima Ikram is an excellent presenter and this is a great introduction to the process of animal mummification, accompanied by some footage of animal mummies. Dr Ikram shows two handfuls of natron, the key substance in Egyptian mummification (only enough for mummifying a lizard). She also discusses her experiments with mummifying rabbits, catfish and Nile perch. I thought I had posted this already but I cannot find the post, so apologies if this is a repeat. The earliest recorded pregnancy test has been found by archaeologists examining ancient Egyptian medical training documents using barley and wheat grains/seeds. The test dates from around 1350 B.C.E. Archaeologists found a hieroglyphic document that when translated described how to find out whether someone is pregnant. The woman who thinks she may be pregnant urinates on wheat and barley whole grains/seeds. The ancient papyrus translated something like, “If the barley seeds sprout or grow, it means a male child will be born. If the wheat sprouts and thrives, it means a female child will arrive in a few months. If the barley and wheat grains never sprout and grow when a woman urinates on the grain seeds, the woman is not pregnant and therefore, will not give birth this time around. That part of the test that's 70% accurate is when either type of grains actually sprout and thrive when urinated upon by a pregnant woman, even in the earliest stages of pregnancy. Dr Hourig Sourouzian explains the excavations and work being carried out at the Mortuary Temple of Amenhotep III. Click the image to skip to the video. 18th dynasty pharaoh Amenhotep III was the king of Egyptian kings. Under his rule, from around 1391 to 1353 BC, Egyptian civilization reached its very apex – all powerful, influential beyond compare, rich beyond dreams and basking in opulent artistic splendour. In a list compiled by American business and financial bible Forbes in 2008, Amenhotep was ranked as the 12th richest person in human history. His funerary temple was therefore never going to be a modest affair. As we discover in a new video interview – shot by Nico Piazza – with the highly-respected German-Armenian archaeologist leading the excavation of the site, Dr Hourig Sourouzian, it was bold, groundbreaking, and very, very big. “It was something extraordinary,” as Sourouzian puts it. A fabulous resource for a terrific project - this website has links to publications from the Merowe Dam Archaeological Salvage Project dating to between 2003 to 2007. Tony has posted some good photos to supplement information provided about the damage caused by natural fractures in the geology of the Valley. He was involved with a project which mapped joints in some of the uninscribed tombs which were often filled with "a hard precipitate stone". Tony has posted three photographs and describes what he believes they show. The buzz word of the moment! The latest case of repatriation has been picked up by a number of online publications. Thanks to everyone who sent links. The Met is returning a fragment of the red granite shrine or "naos" currently located in Karnak and dating to the 12th Dynasty reign of Amenemhat. It was purchased by the Met from an antiquities dealer with the intention of returning it. There's a photo on the presstv website. The Associated Press article discussing the Met's return of the naos fragment also says that during the recent negotiations over the return of items between the SCA and the Louvre a lecture by Christine Ziegler was cancelled and that she continues to be shunned because Hawass "claims [she] is responsible for acquiring the artifacts in the first place". A very serious allegation. Ziegler was honorary chief curator of the department of Egyptian antiquities at the Louvre Museum in Paris until 2007. It will be interesting to see how this develops. There are three major collections, namely Anglo-Saxon, Egyptian and Mediterranean, which include significant, and in some cases unique pieces such as Hermione Grammatike, a named portrait mummy from the Fayum. Continuing Heritage Key's efforts to showcase Egyptology's amazing archives, we'll be travelling to London's Petrie Museum tomorrow to meet curator Stephen Quirke for a trip through the museum's memory lanes. Named after the world-famous archaeologist who donated most of its many Egyptian treasures in 1913, the museum has amassed a wealth of amazing artefacts third in size only to Cairo Museum, the British Museum and Berlin's Agyptisches Museum. And that's not to mention the vast, fascinating banks of photos, letters and notebooks from Petrie, Amelia Edwards and co's at the turn of the 20th century - the Age of Discovery. Jane has posted a lovely photograph showing the new lighting at the the temple of Hatshepsut at Deir el Bahri and says that a visitor centre is opening at the site. Watch her website for more details! The Beyond Stone and Bone blog looks at 19th-century Western travelers and ex-patriots, what they said about Egypt and the emotional impact its monuments had on them. New York City, which traces its roots to 1624, is about 4,700 years younger than and more than 5,500 miles from Egypt. Yet fascination with Egypt has been part of life in America, and New York, since the late 18th century. European traders, pilgrims, and scholars traveled to Egypt, but Napoleon's campaign in Egypt (1798-1801) and the resulting publication of the Description de l'Egypte (1809) and Vivant Denon's Voyage dans la Basse et la Hautes Egypt (1802) ignited the Western world's interest in it. In the early 19th century, Europeans and Americans began to flock to Egypt and its rich and ancient sites as tourists, collectors, scholars, and artists, braving the journey across the Atlantic and through the Mediterranean. Many brought back artifacts; some published their accounts and drawings, further increasing the excitement about Egypt. For many centuries, the women of ancient Egypt were luckier than most of the women in the world. In the Greek civilization that existed parallel to their own, women lacked many of the rights granted to Egyptian women. For example, instead of needing an older brother or father or son to settle legal affairs as in Greece, Egyptian women had equal rights in the law. They could own, inherit and sell property, begin lawsuits, and freely divorce their husbands. Some speculate that this freedom had to do with a different order to society. Deeply ingrained beliefs held that the Phaorah was the embodiment and personification of Egypt, and that every man and woman who lived in Egypt was therefore equal in governmental relationship to the Pharoah. Archaeologists have uncovered the remains of a 3,000 year old site in Nubia that dates to an ancient 'Dark Age' - a time when the Egyptian Empire had collapsed and civilizations around the Mediterranean had been conquered by a group called the 'Sea People'. The settlement was found in the lowest layers of Qasr Ibrim, a site well known for its medieval era remains. Today what's left of Qasr Ibrim is an island on Lake Nasser - a man-made lake created when the Aswan Dam was built in the 1960’s. The discovery was made by an Egypt Exploration Society expedition team led by Dr. Pamela Rose. Fieldwork at Qasr Ibrim stopped in 2006 although study (lab) seasons continued until 2008 when the funding situation in the UK forced a halt to work. In an interview with Heritage Key, Dr. Rose shared her team’s findings. She also gave a lecture at the Royal Ontario Museum in September. The society and Dr. Rose have released several photos to Heritage Key that are shown in this article. This following is based on the interview, lecture and photographs. It is the first time this discovery has appeared in a journalistic publication. Not really an interview, but I was lost for a simple word to characterize this piece! This iis an account of chat with the eminent paleopathologist at a pre-lecture dinner at the Bruce Museum. The author of the articles recounts what Brier's discussions of mummies, obelisks and the identification of his turncoat son the prince Pentaweret who was thought to have led a coup against his father Ramesses III. Dicen de él que fue el Napoleón de Egipto. Dicen de ella que es una arqueóloga perseverante. Más de 2.500 años separan Tutmosis III, el faraón conquistador de la XVIII dinastía, y Myriam Seco, una egiptóloga que no dudó en lanzarse a la aventura y aterrizar en El Cairo hace 11 años con las manos vacías. Ahora lidera su propio proyecto: recuperar el templo funerario de Tutmosis III en Luxor. Solo ha necesitado una campaña para lograr importantes descubrimientos, una suerte que ya hubiera querido para si Howard Carter. Thanks to Stan Parchin for sending the link. British scholar John Casey's wide-ranging study shows the many ways in which mankind has tried to make sense of life after death. Exploring beliefs about postmortem existence from ancient Egypt, Mesopotamia, Israel, Greece and Rome—as well as from the theologies of Christianity and Islam—Mr. Casey discovers no broad pattern or shared assumption. According to anthropologists, the earliest cultures appear to have feared the dead more than death, burying corpses bound by rope and hemmed in with heavy stones for fear they might return and terrorize the living. For the Homeric Greeks death itself was the cause of dread, even as it might bestow honor. "Throughout the Iliad we have warriors who are reduced to nothing as their soul flees to Hades," Mr. Casey writes. "It is as though human greatness must include a sense of the nothingness that awaits us, and that the hero have a clear sense of this nothingness." With the push of a button, the CT scanner whirred and lurched forward. A centuries-old mummy was about to undergo a 21st-century medical examination. In the name of art and science, the Bass Museum of Art in Miami Beach and Mount Sinai Medical Center in Aventura came together this month to examine the remains of a mummy recently rediscovered in the museum's collection. 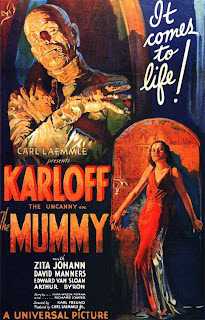 Using the latest medical technology, the team hopes to unwrap secrets about the mummy's life and death. The secrets of the Egyptian mummy, believed to be thousands of years old, will be revealed at a Bass Museum exhibit next year. As the head of the mummy passed through the machine, images resembling a map of the night sky popped up on a computer screen in an adjacent room. Within minutes, the images joined to reveal an intact skull and an almost full set of teeth. A gaping black cavity showed no brain inside the skull -- Egyptians removed the organ through the nose during mummification, as it was considered unnecessary for the afterlife. I have spent close to 40 years learning about ancient Egypt, its history, language, religious beliefs, architecture, artistic conventions, and the multi-layered symbolism behind every object. But I never cease to marvel at the stunning beauty of the artifacts and the sheer magic of looking at a piece made by a human being over 33 centuries ago. And here I am, in 2009, standing right in front of it, with that craftsman’s work reaching across time and space and talking to me. Every detail tells a little bit more of the story and every colour is meaningful. Yet it doesn’t even matter how much we know about these objects, simply because the craftsmanship is so exquisite. Any woodworker will marvel at the precision of the ancient craftsman, working patiently with his copper tools. Any jeweller will be absolutely stunned by the quality of execution of the pieces, from the soldering work to the inlaying of semi-precious stones. We invite the submission of session proposals for ‘The Location of Theory’, the third annual meeting of the Theoretical Archaeological Group in North America, to be held April 30-May 2, 2010 at Brown University, Providence, Rhode Island. While our choice of topic — ‘The Location of Theory’ — offers many interpretive angles and possibilities for discussion, TAG-US 2010 welcomes sessions on any theoretical subject or controversy. Session organizers will be responsible for selecting speakers, discussants, and organizing abstracts. While various format options are possible and at the discretion of the organizer, we strongly encourage the development of workshops, roundtables, or other innovative styles of engagement that can facilitate discussion and interaction perhaps more effectively than traditional ‘stand-and-deliver’ (individual papers followed by Q&A) sessions. Sessions must be planned to occupy no more than a half day (3 hours). Please submit this as a single electronic pdf document to: TAG2010@brown.edu. For a list of sessions that have been proposed, please visit the Session Proposals page on the TAG-US 2010 website. The deadline for individual papers or other forms of participation (to be submitted directly to specific session organizers) is February 15th, 2010 (please see the Call for Papers page on the website for details). I'll be back again tomorrow but, unless something truly unmissable breaks later today, I'm moving furniture and its contents from one room to another so that a large carpet cane be taken up today and a new one put down to replace it tomorrow morning. Due to the fact I am a chronic hoarder I anticipate that this activity will take up most of the day! I've just noticed that my "More Egypt News" widget has started serving Google advertising instead of items about modern Egyptian news. Since I have never wanted advertising on the site and nor am I earning any revenue from it I am somewhat cheesed off that this has happened. So for those of you who used to look at the news widget my apologies but it has now being removed. In 1888 an Egyptian farmer digging in the sand near the village of Istabl Antar uncovered a mass grave. The bodies weren't human. They were feline—ancient cats that had been mummified and buried in pits in staggering numbers. "Not one or two here and there," reported the English Illustrated Magazine, "but dozens, hundreds, hundreds of thousands, a layer of them, a stratum thicker than most coal seams, ten to twenty cats deep." Some of the linen-wrapped cats still looked presentable, and a few even had gilded faces. Village children peddled the best specimens to tourists for change; the rest were sold in bulk as fertilizer. One ship hauled about 180,000, weighing some 38,000 pounds, to Liverpool to be spread on the fields of England. For the first time since WWII all of the galleries of Berlin's Neues Museum are open to the public, as of 16th October. It has been closed since 1939 and its contents either went on display elsewhere or were put into storage. The star exhibit is the Nefertiti bust, which is the topic of so much dispute between Egypt and Germany, and this dispute takes up a lot of the article. Also discussed at Spiegel Online. And there's a video on You Tube. The Ashmolean is generally regarded as Britain's earliest museum. Amongst many other galleries it has a fine Egyptology collection spread over several galleries, with a lot of Amarna material. The building has a fine facade but its interior was crying out for an overhaul and this overhaul is now nearing completion. I very much look forward to hopping on a train and seeing it! The jolly topic continues to generate reaction. There's nothing much new here. The article is a response to the reopening of Berlin's Neues Museum and of course addreses the Nefertiti issue. It asks the same questions that others have been asking but doesn't provide any suggestions as to where the answers might be found. And I think that the final line's characterization of archaeologists might be a little insulting for some: "Unnecessarily complicated questions for a group of people who just simply want to dig". Ouch! The questions were apparently too complicated for the article's author too! The first couple of slides and bits of footage in the video are very indistinct but bear with it because it gets much better. And this was 1929! The volume under review originates from an interdisciplinary conference on Ptolemy II Philadelphus held in Auckland, New Zealand, in July 2005. The purpose of this conference was a re-evaluation of the historical significance and of the personality of Ptolemy II, whom W.W. Tarn (Antigonos Gonatas, 1913) once disparagingly described as a weak and "sickly creature", more inclined to pleasures than to war. His second wife and sister, Arsinoe II, depicted by many modern scholars as his perfect half - a cunning and power-thirsty virago -, underwent a revisionistic assessment already in the 1980s, thanks to works like S.M. Burstein, Arsinoe II Philadelphos: A Revisionist View, in Philip II, Alexander the Great and the Macedonian Heritage, eds. W.L. Adams, E.N. Borza, Washington 1982, 197-212. Even without taking at face-value encomiastic praise of Ptolemy II such as Theocritus, Idyll XVII or Callimachus, Hymn to Delos, a more balanced picture of the second Lagid king was a long-due task for ancient historians. 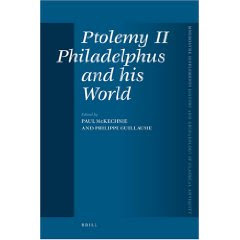 Making the most of the available literary, epigraphic, papyrological and archaeological evidence, the contributors offer an updated and original perspective on many aspects of Ptolemy's reign: economic reforms, diplomatic and military initiatives, intercultural relationships, religious and philosophical traditions. Since already dozens of thorough and engaging studies (starting from Fraser's Ptolemaic Alexandria) have been devoted to Alexandrian philology, poetry and literature in Greek - fields where Philadelphus' reign reached the excellence -, it has been a wise choice not to include a specific chapter on this topic, leaving more space to less known aspects of Hellenistic Egypt. Part 2, "The Hellenistic World in action" (pp. 77-161), looks separately at the affairs of Macedon and Greece, Asia, and Egypt under the Ptolemies down to the 220s. In the case of Iran Errington notes that the level of ‘Hellenizing’ is not known (p. 137), and there was surely a grey area between planned Hellenization and some measure of voluntary or even unconscious assimilation. Disciplinary Measures? Histories of Egyptology in Multi-Disciplinary Context. June 10-12 2010, London (venue tbc). The Egypt Exploration Society (EES). The School of Oriental and African Studies (SOAS), Centre for Cultural, Literary and Postcolonial Studies. University College London (UCL) Institute of Archaeology, Heritage Studies Research Group. ‘Disciplinary Measures?’ aims to provide a discussion forum for the increasing number of people working on the history (or histories) of the discipline of Egyptology. The conference is not limited to Egyptologists. Rather, it seeks to set the multiple histories of Egyptology in a broader, multi-disciplinary context, concomitant with the manner in which studies of the discipline have emerged in recent years. The conference, therefore, aims to stimulate critique and constructive dialogue, as its title suggests. insignificant) place within current heritage discourse. Abstracts (250 words maximum) are invited for papers that consider the history of Egyptology from outside the perspective of the discipline itself, or which provide a historical perspective from within the discipline on current issues in other fields. The deadline for submission is February 28 2010; abstracts should be e-mailed to William Carruthers at . More backlog! It is great to see how much news is emanating from Jane Akshar' Luxor News blog. Posts are shown by date in descending order (most recent first). This is just a sample of her posts. Obviously go to her site to stay up to date with all the news from Luxor. 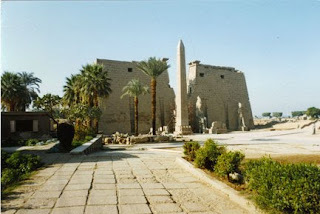 Jane covers the opening ceremony for a project that will drain potentially harmful groundwater away from around 20 monuments on Luxor's West Bank using a system used successfully at Karnak and Luxor. The project is already underway but this event was organized to publicize and explain it. The event was attended by dignitaries and archaeologists. Accompanied by photographs of the event. A good year for tomb openings, with that of Horemheb opened earlier in the year. Jane's post gives a really good itinerary for a West Bank visit which focuses on Ramesses III. More details about the tomb are available on the Theban Mapping Project website. No photos in the Valley of the Kings? One of Jane's visitors has reported that when she went to the VOK photography was banned, not just in the tombs but in the valley itself. Her visitor checked with the inspectorate and this was confirmed. And various comments in response confirm that cameras were being taken away from visitors at the gate into the VOK. The most interesting point in this interview with Hawass on the Heritage Key website is that Hawass confirms that he is leaving the SCA next year, when the tenure of the position ends. 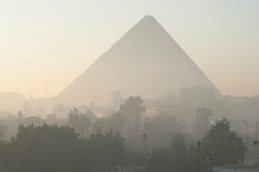 But there is a lot of other information in the interview including planned openings of sites to the public, and the latest work at the Great Pyramid and the tomb of Seti I. The details are all very brief but well worth a look. A Spanish institute has obtained permission to excavate a tomb in the Theban necropolis in teh area of Asasif, thought to belong to Amenhopte, more popularly known as Huy. Not much is known about the vizier and these investigations hope to discover more. El próximo día 28 de octubre parten los primeros investigadores de la Universidad de Jaén (UJA) con destino a Egipto para iniciar la segunda campaña de trabajo en la necrópolis de los nobles de Asuán, conocida como Qubbet el-Hawa. Este proyecto se enmarca en una acción de colaboración científica y cultural entre la UJA y el Consejo Supremo de Antigüedades de Egipto y como novedad, este año se podrá consultar a diario el avance preliminar de los trabajos en la página oficial del proyecto (http://www.qubbetelhawa.es). Este año el grupo está compuesto por trece investigadores dirigidos por el profesor del Área de Historia Antigua de la Universidad de Jaén, el doctor Alejandro Jiménez Serrano. Los objetivos de la misión son más ambiciosos que los de la campaña anterior y se centrarán en cuatro puntos. En primer lugar, se terminará de excavar el exterior de la tumba nº 33, iniciada el año pasado, así como su interior. Esta tumba perteneció a un poderoso personaje, aún desconocido, que vivió en torno al 1850 a. C. En el interior de la misma se han detectado varios enterramientos posteriores en los que se utilizaron sarcófagos de diferentes tipos. Además, hay evidencias que permiten aventurar la existencia de cámaras funerarias anteriormente desconocidas. At a mark of 3,000 years ago, Bernhardt's team detected a shift in pollen grains from native grasses and other plants to those from cereal grains, grapes and weeds associated with agriculture. They also found a marked increase in charcoal particles, all of which suggests that a settlement pre-dated the great city of Alexandria. . . . Whether the early settlement was Greek, Egyptian or affiliated with some other culture isn't known. Nor can scientists say exactly how big the settlement might have been. "At this point I don't think you can tell much about the people themselves," Bernhardt told LiveScience, adding that archaeologists are interested in learning more about them. Bernhardt's findings were presented at a recent meeting of the Geological Society of America and will appear in an upcoming issue of the Journal of Coastal Research. This is a busy article looking mainly Egypt's claims for repatriation including, inevitably, the Nefertiti bust and it asks whether the failure of Hosni to secure the UNESCO position was directly responsible for Egypt's latest request for the return of Luxor frescoes from the Louvre. It touches on Iraq as well and looks at the the whole issue of repatriation and politics. Laws are laws, of course, and looting can’t be tolerated, although when decades or centuries have passed, laws have changed, populations shifted, empires come and gone, legal arguments can be dubious. But the larger truth is that all patrimony arguments ultimately live or die in the morally murky realm of global relations, meaning that modern governments like Egypt’s and Iraq’s may win sympathy today by counting on Western guilt about colonialism when asking for the return of art from ancient sites within their current borders. At the same time there’s no international clamor for Russia to return storerooms of treasures it stole from Germany at the end of the war, or, for that matter, for Sweden to fork over the spoils of a war 350 years ago with Denmark. It’s about emotion, not airtight logic and consistent policy. The vagaries of realpolitik, and a shifting sense of justice, determine these things. That’s not meant to sound cynical. Plenty of good arguments, legal, moral, intellectual, economic and artistic, support returning objects that came from Egypt back to Egypt, or from Greece back to Greece, or from Italy back to Italy. And plenty support the opposite: dispersing these artifacts around the world, where they can act as diplomats, benefiting not least the people who occupy the territories from which the art came. The warren of slum alleys is called the Jews' Quarter, but no Jews live there. The ancient synagogue still stands, but its roof is gone. The government is renovating it, but is doing so at a moment when anti-Israel feeling is running especially high in Egypt. The Ben Maimon synagogue exemplifies this country's conflicted relationship with its Jewish past. The Jewish community that once flourished in the Arab world's most populous nation left behind physical traces ranging from grand temples in central Cairo and Alexandria to a holy man's humble grave in a Nile Delta village. But the modern-day Egyptian view of those relics lies within a narrow spectrum ranging from disinterest to outright hostility. See the "Planet Hawass" post below for a video of the conservation work being undertaken. In the accompanying text Hawass denies that there is any prejudice against Jewish heritage. A review of the exhibition of Nubian archaeology with photographs and an audio slideshow. Short but informative summary of the traveling exhibition, with some lovely photos. Treasures... begins in mankind's remotest past with Early Stone Age handaxes (1.6-1.4 Million B.C.) from Olduvai Gorge, Tanzania. Discovered by Kenyan archaeologist Louis Leakey (1903-1972), the creation of these lava block implements with a stone hammer distinguished humanity from the rest of the Animal Kingdom. Egyptian civilization is introduced by a scale replica of the Rosetta Stone (196 B.C. ), excavated in 1799 by Napoleon's troops. The granodiorite monument's combination of hieroglyphic, demotic and Greek scripts aided in the 1822 decipherment of ancient Egypt's language by French philologist Jean-François Champollion (1790-1832). Artifacts describe Egyptian history, culture and funerary practices. The following is a summary of the main news items from Zahi Hawass's website over the previous few weeks. The most recent item is at the top of the post. If some of these are duplicates of earlier posts I apologise - these were picked up by Google Reader but it sometimes picks up older items as well as recent ones. A photograph of the sandstone statue now located in the Luxor Museum. Hawass talking about visiting the White Desert which is the remarkable area just north of Farafra, famous for its gorgeous white limestone formations. Now a national park it is becoming increasingly popular with tourists, which is a distinctly mixed blessing. The incomplete pyramid of the 3rd dynasty pharaoh Sekhemkhet was discovered in 1954 by Zakaria Gomein. As a sealed but empty sarcophagus Gomein discovered grave goods, including gold jewellry. There's some good footage of the pyramid on the video. The photo store has been updated with some new images. This is a particularly fine aeriel photograph of Deir el-Bahri (the temples of Hatshepsut and Mentuhotep II) and the surrounding Theban hills. Hawass goes walkabout in Alexandria, where he was delivering a lecture. He visited the National Museum of Alexandria and the Jewelry Museum. There's a description of the work that took place to restore the early 20th century building which houses the latter museum, and which sounds like a terrific place. Hawass uses the example of this synagogue to counter suggestions that the SCA are not concerned with the Jewish heritage of Cairo. It is expected to open to the public in 2010 following restoration work. Another photo, and a rather nice one. A bronze figurine of the hippopotamus goddess Taweret found recently in the SCA excavations at Dra Abu’l Naga. Traces of gold can be seen on the head. Drilling to investigate groundwater levels beneath the Sphinx, for conservation purposes, have not revealed any hidden chambers! Nice aeriel shot of the Temple of Philae. Some odds and ends about restoration work at the Step Pyramid of Djoser, the South Tomb and the Serapeum. Hawass says that they are hoping to re-open the Serapeum to the public in December, which would be great - it is a remarkable place. Three houses have been destroyed (the owners apparently moved willingly to new properties ) and a bulldozer that brought them down revealed a burial shaft. Hawass also talke about previous discoveries at the oasis and suggests that there is much more to be revealed in Bahariya. We discovered a cut in the mountain, followed by stairs ending in a hole in the ground. It looks like the entrance to a tomb, and it is exactly similar to the entrance of KV63. We recorded many inscriptions nearby, some of which were already known and others of which were found for the first time. One tells us that a man named Userhat built a tomb for his father, the vizier Amennakht. Our work among the cliffs was very interesting. We found huge blocks, and it took us a long time to move them. After that, we found a manmade wall, below which was a shaft with stairs going down. This seems to be the entrance to yet another tomb. We also found many workmen’s huts – we know that the workmen used to live in the valley while they were cutting and decorating the tombs of the pharaohs. In one area, we found a round limestone base, with a hole in the middle where food and drink for the workmen would have been placed. Remember that even if we do not find that one of these two entrances leads to the tomb of Ramesses VIII, we know that many great royals, including Thutmose II and Nefertiti, along with the queens of Dynasty 18, were buried in the valley, but their tombs are also still unknown. It was a pretty drive back. Even the motorways were flanked by vistas of Autumnal leaf change. The colours were marvellous in the bright sunshine. My house was still standing patiently where I left it, but I had so much post that I had to fight with the door to get in! I'm going to update the blog this week with both new stories and older ones, so it will be a bit of a mix for the next few days. I'm going to organize old stories by website rather than date because it's quicker than doing it by date (today, for example, I've started with Hawass's site). and I've bundled more up to date stories by category. I'll get it back up to date before I sit down and work out how to manage it going forward. I have all the suggestions printed off and I shall be adopting many of the ideas that were put forward. I have switched the comments functionality back on now that I'm reunited with my broadband connection. At the moment I have opted to moderate them so that I can keep an eye on spam, but I'll turn off moderation when things are back to normal. 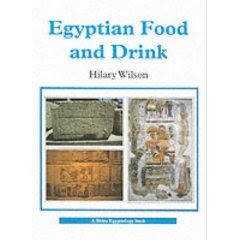 The introduction deals mainly with the types of evidence for available for food and drink in ancient Egypt. Most of the data is concerned with food required for the afterlife and there is little about food preparation, horticulture and cooking methods. Both bread and beer were made from grain – either barley or wheat. Grain was the staple ingredient in Egypt and was subject to taxation. Wilson goes on to describe the sowing, harvesting and post-harvest processing of barley and wheat, and lists some of their uses. Bread was of particular importance and Wilson covers the different types, shapes and production methods. Beer making is described at the end of the chapter. Hops were unknown in Egypt so the beer was unlike anything that would be recognized as beer today. This chapter opens with a look at the type of growing that took place in the form of irrigated fields growing cereals and flax, and garden plots forming small beds with raised mud-brick partitions. This chapter is concerned mainly with legumes and pulses including garlic, onion, lettuce, cucumbers, lupine, broad bean, lentils and yellow peas as well as parts of water lily. In each case Wilson explains both what evidence exists for usage and often provides modern parallels of Egyptian equivalents. This chapter is devoted to fruit and products derived from fruit. Fruit were valued in their own right but were also processed to form purees, jams and flavours for other foodstuffs. Grapes were used to make wine, as were pomegranates. Wilson discusses a number of different fruits and their uses. Wilson opens with the observation that the “problems associated with keeping food fresh in a hot climate led to an apparent class distinction in the eating of meat”. She next points out that the lower a person’s class the smaller he was likely to eat, and that only the wealthy could afford to slaughter large animals. Wilson looks at what would have been consumed by both the wealthy and those at village level. She also discusses tabus associated with different meats and fish. Wilson then goes not to look at how fish and fowl were cauth, processed and prepared. A description of butchery and the resulting products follows. Wild game supplemented the diet. Wilson describes products that were used to preserve and to add flavour ingredients and meals. Fats, oils, salts, and herbs were used and would have produced the same sort of flavours, textures and effect familiar to anyone accustomed to modern Egyptian cookery. The last chapter looks at the kitchen and its contents. Wilson says that most village cooking took place out of doors and that in wealthier households it would take place on upper floors or in open courtyards to enable smoke and cooking smells to escape. She goes on to describe cooking fires, domestic stoves, the variety of pots and pans used, and a number of cooking utensils including knives, paired sticks, spoons, spatulae, ladles, pestles and mortars and mixing bowls. Vermin clearly presented problems and Wilson mentions that pottery rat traps are known from the 12th Dynasty in Kahun. The book ends with a useful glossary, a list of museums to visit (in the UK, Egypt, France, Italy and the USA – of which the Museum of Agriculture at Dokki in Cairo is a must! ), a short Further Reading list and the index. The book is full of black and white photographs and illustrations, mainly showing representations from tombs, clay models and surviving examples of foodstuffs. To me there are only two minor omissions. The first is that there is very little discussion of how little Egyptian agriculture evolved over a period of 3000 years and why this might be. The second is that the few innovations and imports were often valuable at different levels, but they are not discussed here. But this is a very small book and there's only so much information that you can stuff into that number of pages without sacrificing clarity, so I'm certainly not grumbling. I very much like that Wilson looks at all levels of Egyptian society and what sort of foods people of different classes would have had access to for consumption, not just what the wealthy would have had access to. Overall this is a well presented and informative introduction to a vast and fascinating topic. Chapter 1 introduces the scarab to the uninitiated. Over a period of 2000 years from the end of the Old Kingdom, scarab representations were made in a variety of fabrics. The member of the Scarabaeidae family upon which the Egyptian scarab representations is based on the form of dung beetle known as the “roller” due to its practise of rolling dung into their burrows for food or for egg-laying. The second half of the chapter looks at the mythology of the scarab beetle in Egypt, which is based apparently on the rolling of the dung ball which as equated to the movement of the solar orb across the sky. The scarab deity Khepri was one of three major forms of solar deity. Wilkinson goes on to explore the nature of Khepri, the deity who was constantly reborn, just as the sun was reborn each day. Wilkinson opens with the intriguing observation that the development of the scarab in Egypt “followed a somewhat slow and unlikely path”. He goes on to describe how scarab forms evolved. The earliest were amulets. Amulets date to the Predynastic but most early ovoid scarab forms date from the end of the Old Kingdom. They were first used as seals during the First Intermediate period, by the end of which they were more precisely made, showing a more naturalistic form than in the Old Kingdom. Seals, on the base of the amulet beneath the scarab itself, could be maze-like or representational. Wilkinson discusses mass-production in the Middle Kingdom and the expanding range of seal motifs. Stylistic advances were made in the New Kingdom. The chapter concludes with an excellent overview of some of the problems involved with the dating of scarabs. This chapter looks at the role of the scarab, from around the 13th Dynasty, in the process by which the dead makes the transition into the afterlife. The “weighing of the heart” is a judgment presided over by certain deities and described in the Book of the Dead. The heart is weighed on scales against a feather which represents the truth and justice of the goddess Ma’at. Scarab amulets were placed in the mummy to assist the heart during the judgement. The rest of the chapter discusses the design and manufacture of these scarabs. The number of variants is considerable. As time went by scarabs, particularly in royal mummies, were incorporated into often elaborate pectorals jewellery. They fell out of use by the Graeco-Roman period. These are scarabs that were commissioned specially to celebrated specific occasions and which date to the New Kingdom, principally during the reign of Amenhotep III. They are an important source of historical information. Wilkinson gives examples of particular scarabs and classes of commemorative scarab. All consist of scarab amulets with hieroglyphic inscriptions on the bases, some texts quite short, others remarkably long. Wilkinson points out some gaps in knowledge. For example, why only some subjects appear to have been commemorated by Amenhotep III, and why commemorative scarabs do not appear to have been produced after the 11th year of Amenhotep’s reign but were resumed under the reign of Amenhotep IV (Akhenaten). Wilkinson highlights the differences between scarabs of Amenhotep III and IV. None are known after the Amarna period. Egyptian scarabs are by no means exclusive to Egypt. They are found throughout the Mediterranean. Egyptian items were highly valued through the Mediterranean areas and were widely traded. Scarabs were perhaps valued as magical amulets. As well as originals from Egypt copies were also produced, some of which were true to the originals and many of which had their own distinctive character. Wilkinson looks at Mediterranean scarabs area by area: the southern Levant, the Aegean, Etruria and “other cultures”. All have archaeological value. For example, those from the southern Levant have been research with a view to improving an understanding of how the chronologies of Palestine and Egypt relate to each other. The above chapters are followed by a useful three-page list of further reading, a list of museums to visit (in the UK, Canada, Egypt, France, Germany, Israel, Italy, Netherlands, Switzerland and the US). Finally there is an index. This is an excellent book. The subject matter is ideal for a publication of this size (64 pages) and leaves the reader with the feeling that a great deal of information has been imparted without the sense that there are any huge gaps. Not that scarabs are a simple topic – they are the subject of important research projects using increasingly complex techniques and they are key to understanding both Egyptian concerns and the way in which Egypt was perceived by and was connected with other cultures. Wilkinson touches on those important issues without become side-tracked by them. His writing is clear and articulate and a pleasure to read. The text is complemented by illustrations, diagrams and photographs in both black and white and colour, all of which illustrate the points made throughout the book. The book is well made and printed on glossy paper which highlights the coloured photographs particularly well. I brought a number of Shire Publications books away with me. They can be read in a couple of hours (they average about 64 pages long), are written by some excellent authors and stuff a lot of useful information into a digestible package. Most of them are still in print, others possibly discontinued but online stores like Amazon offer second hand alternatives. I made some notes about the books as I read them so I thought I'd post those notes here to tide things over until the weekend when I'm back on broadband. Someone should write a sonnet or ode to broadband. 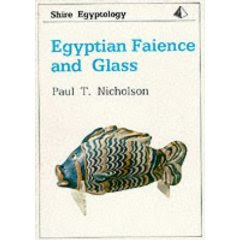 The first one is Paul T. Nicholson's highly enjoyable book on faience and glass. The book is divided into three parts – Faience, Glass and reference material. Faience and Glass each take up around 32 pages. The book has 80 pages which is longer than the usual 64 pages of Shire Egyptology books.. The first chapter very helpfully defines Egyptian Faience, explaining the origins of the term and the reasons why there has been confusion in the past about what faience is. Nicholson describes faience as “an artificial precious stone” and explains the composition of the non-clay ceramic, and the methods of manufacture. Nicholson looks briefly at the origins of faience production in Egypt in the pre-Pharaonic period, mentioning the relationship between glazed steatite and faience beads, and describing the variation of composition, manufacturing and glazing of faience at this time. The development of modelling techniques and the diversification of items made from faience are described – from animal figurines at Hierakonpolis to 36,000 turquoise coloured tiles at the Saqqara Step Pyramid of Djoser. Examples from Abusir included inscriptions and representations in white paste and gold leaf. Faience became popular during the Middle Kingdom, with techniques that made objects more durable. Many were found in funerary contexts. Animal figurines, such as the hedgehogs from Beni Hasan, female figurines, scarabs, and food offerings were all popular subject matters. Vessels were made and a new style of vessel was added in the Second Intermediate period. 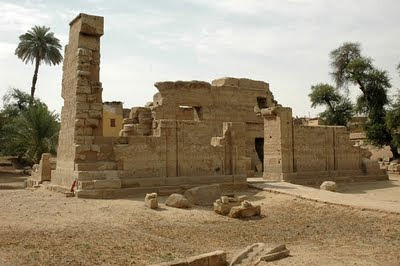 Production also flourished in Nubia at this time. This is the richest period of faience production, with thousands of examples known. Both large scale and small scale workshops produced faience. Nicholson describes the moulds that were made and explains how they were used before explaining new techniques, including the addition of glass to faience. The range of items made increases with more varied types of decorative, ornamental and architectural items produced. Nicholson describes these types and picks out some specific examples. From the Nineteenth Dynasty faience was exported to various Mediterranean locations and by the Third Intermediate the techniques required to manufacture faience had also found their way beyond Egypt. A particular product of the Third Intermediate was the ushabti. Under the Saites of the 26th Dynasty faience was better quality and new developments were introduced. Shades of green and black were favoured. Shabti figures continued to be mass produced. Much of the faience produced at this time was exported. Nicholson explains the workings of the Roman faience kilns found at Memphis. Nicholson starts off with a description of the composition of glass, and where the components were obtained. He then goes on to discuss the two-stage process of glass making, a complex process particularly given requirements for both clear and coloured glass. The earliest glass manufactured in Egypt dates to the New Kingdom but it was imported and used before this time and Nicholson discusses some of these imports. The longest chapter in the Glass section looks at how glass emerged fully fledged during the reign of Tuthmosis III when it may have been introduced from abroad. Glass workshops have been found at a number of locations in Egypt and the information supplied from these sites is discussed. Nicholson next explains how delicate glass vessels were built around organic cores and gives some examples of core formed vessel types and their decorative motifs. He then describes mould-made vessels and the difficult technique of cold-cutting where glass is worked as though it were stone. Glass production apparently declined after the Twenty First Century but resumed in the Twenty Sixth Dynasty and became plentiful in the Thirtieth. The same techniques were employed but there are some differences in colour, style, decorative techniques and pattern, which are described. Mosaic glass was apparently introduced in the Thirtieth. Alexandria became a focus for glass production, and new approaches to glass production were developed here. Core forming, moulding and cold-cutting are discussed again and new techniques which appear at this time are also described. These chapters are followed by a map showing the principal sites mentioned, a three page glossary, a recommended reading list and a list of museums that people can visit to see faience and glass on display in a number of countries. The text is accompanied by black and white photographs and illustrations. Both topics would have benefited considerably by being illustrated with colour photographs, as in more recent Shire publications, so that the beauty of the artistry could be appreciated. No attempts are made to summarize the two industries or compare them at the end of the book. Each of the two parts is a standalone work. Although Nicholson does not explain why he has put the two together it is clear that there was an overlap in production skills and in some cases both were produced by the same workshops. In addition, glass was sometimes used in the production of faience. On the whole I would rather have seen this divided into two books with more detail allocated to each topic. Both parts of the book focus on manufacture and technology rather than on design or aesthetics. The explanations are well written and the technical descriptions are easy to understand. The pieces from Luxor that the Louvre have promised to return are discussed on Al Ahram Weekly. This is, as usual, a good summary from Nevine El-Aref. The French decision to conform to the legal requirements and return the antiquities was a good one, but it does raise the question of whether the sort of strong-arm tactics will be used by Egypt on cases where the legalities are not so clear and obvious. There was a good article in the Economist some time ago which looked at the issue of repatriation of artefacts entitled “Snatched from northern climes” and suggests that loans between museums might be the solution. I thought that it might be of interest to some readers in the light of frequent discussions about repatriating items to Egypt from mainly western museums. The author doesn’t argue the right or wrong of individual ownership disputes but makes the comment that when repatriation of items takes place where circumstances of removal are ambiguous it might set a precedent worrying to museum curators. The Munich declaration, signed by some of the world’s leading museums in 2002 states that today’s ethical values cannot be applied to past purchases but it does acknowledge that more should be done to increase the exposure of disputed items to a wider audience, an agreement which has resulted in an increase of loans between museums, some of them very high profile items. The article does not take a naïve stance and raises the fear that some curators may have of loans not being returned but suggests that loaning important items could be the building of a relationship of trust that could lead to greater commitment to meeting the needs of countries who wish to see their past in their own museums. On the other hand a recent article about the exhibitions “Secrests of Tomb 10A” (see Exhibitions, below) makes the point that with insurance, transportation and other costs loans can be very expensive to arrange. I suppose it depends on the scale and duration of the loan – whether it is one priceless item or many. Purchased from a New York antiquities shop in 1995 the ushabti (shown in a photo) has been returned to Cairo where it is undergoing restoration. Rossetta stone to visit Egypt? The above Economist article mentions in passing that although the British Museum did not sign the Munich declaration it “will soon lend the Rosetta stone, the cornerstone of written language, to Egypt for the opening of the Giza museum”. Has anyone seen news of this anywhere else? The hunt for Cleopatra carries on, with investigations at Taposiris Magna starting up again this month. This is a short article which looks at the apparently deliberate custom of constructing tombs on fractures in the Valley of the Kings, due to the relative ease of excavating them. Investigators have raised concerns that these fractures may act as channels for flash floods, causing damage to the tomb walls and their paintings. The identification of fractures as an attractive feature to ancient tomb builders is also being used as a guide to the potential location of new tombs. Some of the interviews with Egyptologists that I’ve read over the years are painfully thin on content but this one is infinitely better than average and Dr Wegner imparts some useful information and discusses his opinions about Abydos and about Senwosert III in particular. The tooth concerned belongs to a mummy found in the tomb of Governor and Lady Djehutynakht, one of the subjects of the Secrets of Tomb 10A exhibition (link to review below). It is not known which gender the mummy is and it is hoped that the DNA sample will help to provide an answer to this question and perhaps reveal information about family connections. The results aren’t back yet. There’s a short but gratifyingly honest assessment of the value of DNA from a body this old. As with many of these articles this one revels in the difficulty with which the dentist, sweat on his laboured brow, extracted a tooth after failing to remove one which was too firmly connected to its owner. The poor old sphinx is under the microscope again. This time the damaging effects of the wind are being modelled in a 3-d virtual reality environment where the various ebbs and flows of the wind are shown in colour so that they can be visualized. There are some good pics accompanying the article. Just two thoughts – one is that the article doesn’t say how the results of understanding the wind flows over and around the Sphinx are going to be used to protect it and the second, the result of a brewing scepticism about climate models, is just that a computer model is only good as the data fed into it – and there is nothing in the article to say how this data is being harvested. This is a good one (or a bad one depending on your perspective). Zahi Hawass has found himself in the middle of a human rights dispute over his alleged refusal to grant a colleague academic freedom. Ahmad Salih, a researcher, challenged the research views of Hawass (Supreme Council of Antiquities) and says that as a result Hawass has taken legal actions against him and ridiculed him in the media, undermining both his research and his reputation. A human rights organization (Arabic Network for Human Rights Information or ANHRI) is investigating the matter in case there is evidence of academic repression. The view of Hawass is that Salih’s attacks on him are personally motivated, because Hawass refused to take him on his mummy-restoration team a few years ago. It will be interesting to see the outcome of the investigation, if it ever hits the light of day. That quote, if accurate raises a couple of rather large issues. Why, for example, shouldn’t the well informed amateur challenge academic thoughts in public or private? New ideas often come as the result of opposing opinions. As to the suggestion in his statement that Hawass feels that it okay to “punish” anyone who opposes Hawass’s opinions if they don’t have what he thinks of as sufficient qualifications, that does imply that Egyptian amateur researchers do have something to worry about if they publicly disagree with the party line. There’s lots of “ifs” in all this and there’s the distinct feeling that the full story isn’t quite out there just yet. I have learned to dread exhibition reviews but I really enjoyed this one. Thanks to John Rauchert for sending these details. I have to confess that an ice-cold finger still touches my spine every time I see the name “Nefertiti” – a legacy of having worked on this blog for over five years! But I very much like the look of the Oakey and Ertman articles and shall try to get hold of KMT which tends to elude me as it is not widely stocked in London. Gilles Gorre, Les relations du clergé égyptien et des lagides d'après des sources privées. Studia Hellenistica; 45. Leuven: Peeters, 2009. Pp. lviii, 641. ISBN 9789042920354. €105.00 (pb).